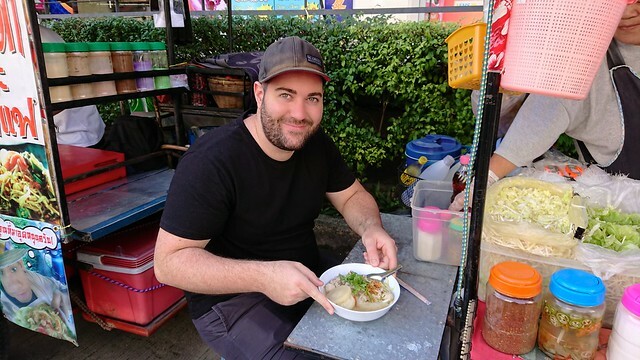 Join me as I test out the camera features of the Sony Xperia XZ1 in the old city of Chiang Mai, Thailand. 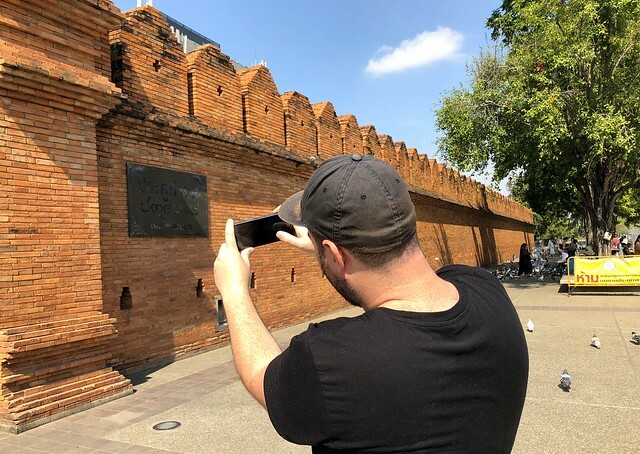 I’m always on the lookout for the latest technology trends and the next best smartphone camera for travellers and photographers. Being a smartphone photographer myself, it’s important to have the best bit of equipment to ensure I can capture every moment in the highest quality. 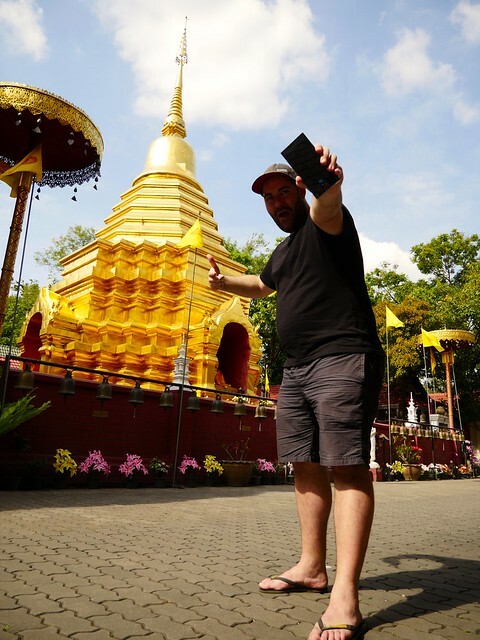 Let’s take the Sony Xperia XZ1 on a trail run as I explore Chiang Mai and put the latest camera features to test out on the streets. If you would like to read an overview of my first impressions of the Sony Xperia XZ1, feel free to read my first impressions blog post review. 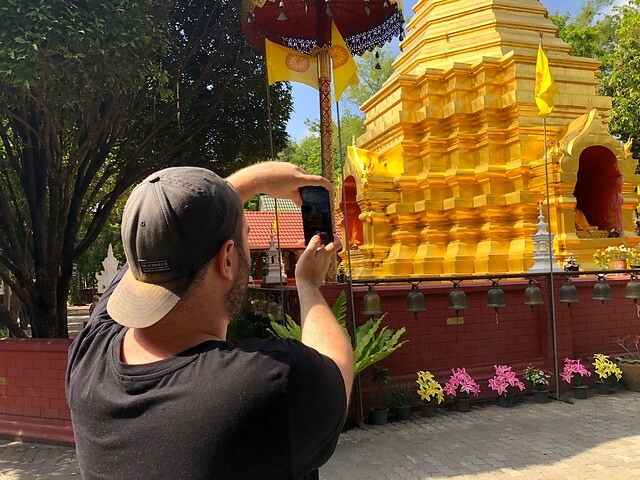 I wanted to dedicate a whole blog post to the camera photo and video performance to show you what this phone can do and what makes it stand out from the rest. – 19MP Exmor RS. 25mm wide angle G lens f2.0. – SteadyShot with intelligent, active mode. – Super slow motion video (960 fps). 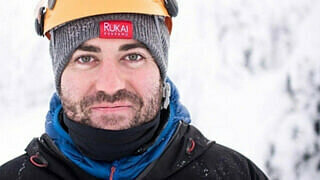 – Take super-star selfies with 13-megapixel front facing camera. 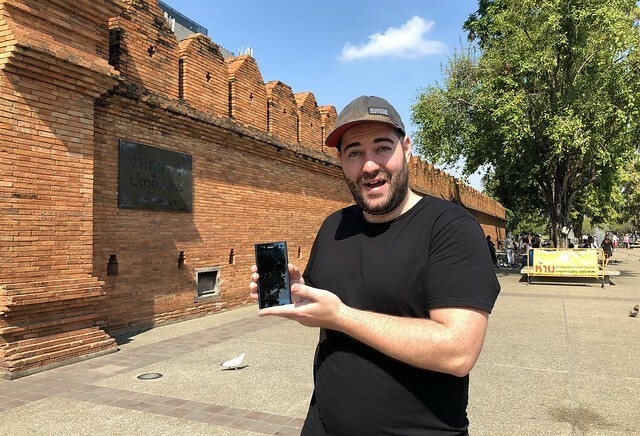 I’m going to take the Sony Xperia XZ1 to the streets of Chiang Mai, Thailand and test out some of these features. Let’s see how these features turned out. Who likes wobbly video footage? Pretty much no one. The Sony Xperia XZ1 comes with built in stabilization called SteadyShot to ensure that you can capture a lovely smooth video shot when filming. Never have a wobbly video again. It allowed me to walk along a temple keeping a nice smooth steady shot. 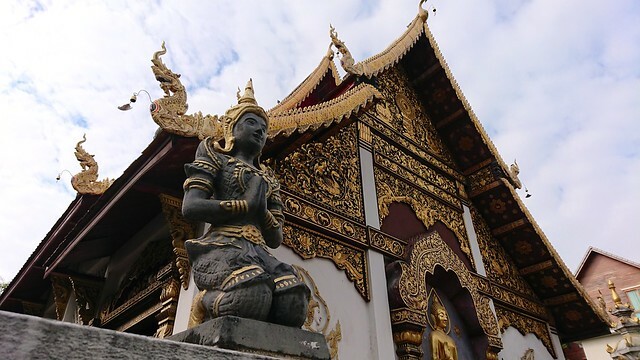 Rather smooth and perfect to add to my video of Chiang Mai. Always worried you won’t get your phone out in time to take the exact photo you want? Happens to me all the time! Don’t miss a moment with the Sony Xperia XZ1 Predictive Capture mode to capture the perfect shot in time. 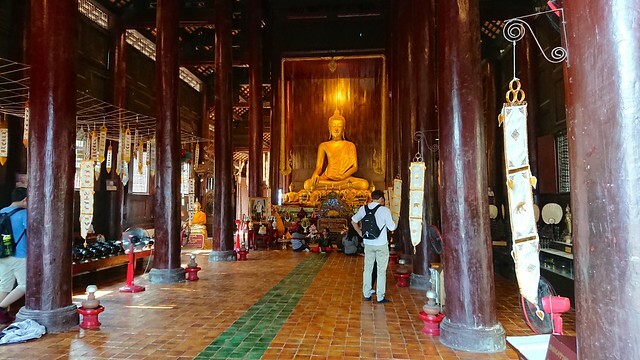 Here in this photo I couldn’t take a good photo of a flapping banner in a temple. Using the feature, I was able to capture the exact moment I wanted. Super slow motion is a super awesome feature to have on your smart phone, and super fun too. The Sony Xperia XZ1 offers an incredibly insane 960fps! You simply have to try it for yourself to see how well this feature works. 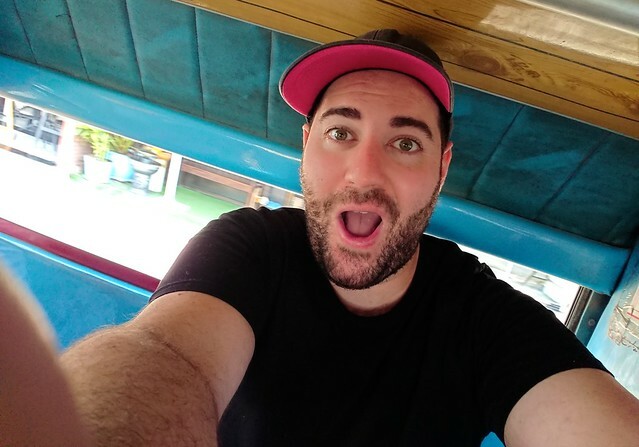 For example, see me travelling in a tuk tuk and slow down at the exact moment when I pass the camera to give a thumbs up. The moment itself took a few seconds, but by slowing it down you can see that moment a lot better without ruining the quality. It’s incredible. Want to ensure you can capture the exact moment without missing a shot? Why not try out the Autofocus burst feature built into the Sony Xperia XZ1 photo settings. Simply hold the capture button for it to take a rapid selection of shots for you, it’s that easy! 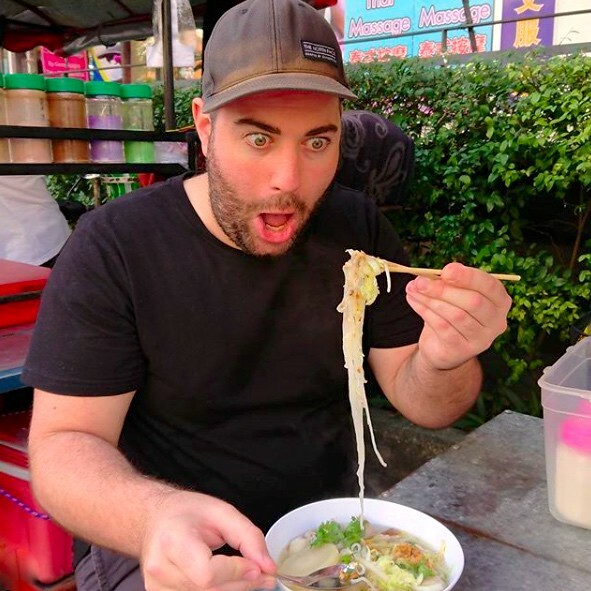 Use this feature as I did to take the exact moment of enjoyment whilst eating tasty Thai street food in Chiang Mai. You want to ensure your new smartphone is future proof. With the Sony Xperia XZ1 camera you have built in 4K filming capabilities. The great thing about this feature is the phone itself has an incredible HDR 4K screen so after filming you can enjoy the quality that you have created straight away. How awesome is that. I see 4K as the future and being able to capture life in 4K today is an awesome feature to have on your phone for sure. Having a Sony Xperia XZ1 in my pocket whilst travelling is a real joy when it comes to using the photo and video features. The quality is like having a DSLR quality camera with me without having to worry about the bulkiness as the Sony Xperia XZ1 fits perfectly into my pocket. 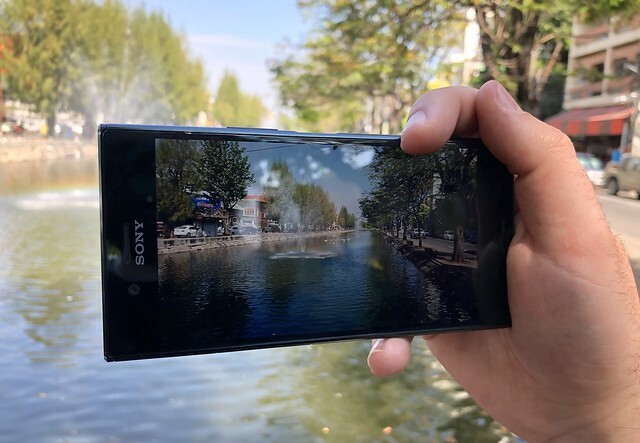 Plus, with all the additional features that the Sony Xperia XZ1 has, it’s a very handy and useful smartphone to have with you as a traveller and photographer. Thank you for reading my review of the Sony Xperia XZ1 camera features. I hope you found it useful and if you have any questions, feel free to leave a comment below in the comment section. This blog post was put together in collaboration with Sony Xperia to showcase the new flagship Sony Xperia XZ1 model. My opinions remain my own. Cheers guys and have fun taking some awesome snaps!